SoaringUSA is offer a number of electric planes. With our park flyers, have a blast without leaving your neighborhood. Perfect for the local park or school field, these planes are wonderfully acrobatic, yet relaxing to fly! The Bird-E is 60-inch model is of exceptional quality from CNC molds that is great for slope flying or flat field soaring. 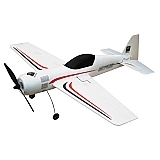 The Bird-E Carbon is 60-inch model is of exceptional quality and strength from CNC molds that is great for slope flying or flat field soaring. Warbird! The name evokes excitement and deadly beauty. Try electric scale, plug-and-play easy! With its 2-piece, 2-meter wing and removable two-piece X-tail it is the perfect compact go-anywhere electric model. Great for lunchtime flying! This 60-inch span model has it all: ailerons, flaps, V-tail ("rudder-vators"), and throttle! Mucho carbon! 2.4 Friendly! This WW2 warbird is a true ARF. It can do victory rolls, Cuban-8s, Immelmans and more with its powerful brushless outrunner motor and semi-symmetrical airfoil. When you are ready to take a little break and play at the park, this little Sukhoi is a must have. From package to flying in about 1 minute!